We have a serious love of using paint markers! 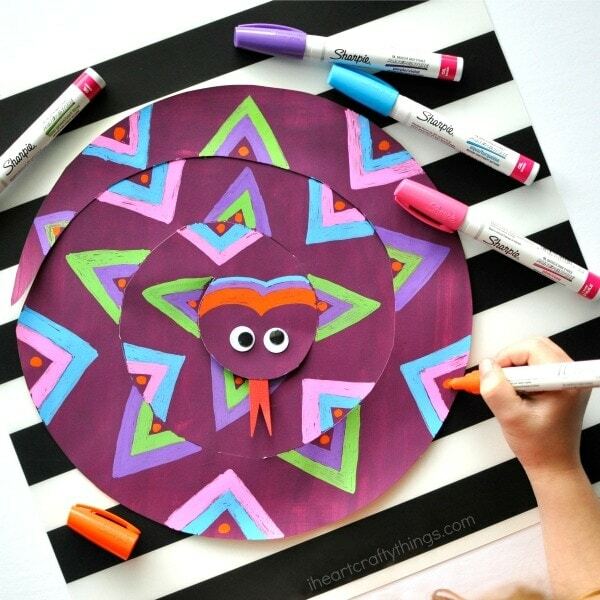 I love how they encourage creativity by adding final touches, squiggles, designs and patterns onto different crafts just like in our hot air balloon craft and colorful owls. This painted paper snake craft for kids we are sharing today is a fabulous open ended craft where children can have fun designing their own patterns and creating a one-of-a-kind snake. 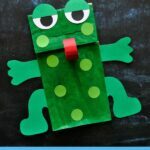 Since the school year just wrapped up and kids will be looking for fun activities to keep them busy this summer, this snake craft couldn’t have come at a better time! Go grab some paint markers and get ready for an afternoon full of fun with your kids! This craft originally appeared on Instagram as a sponsored post for Michael’s and Sharpie. I am excited to share the full tutorial with you today. This post also contains affiliate links to the products mentioned. Read our disclosure policy for more information. 1. 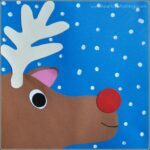 Start by painting your cardstock paper with the color of your choice. Let it dry completely. 2. 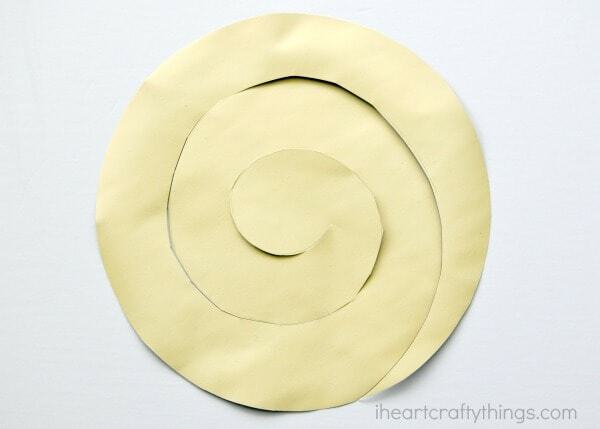 Use a large round bowl to trace a circle onto the back of your painted cardstock paper. Cut it out. 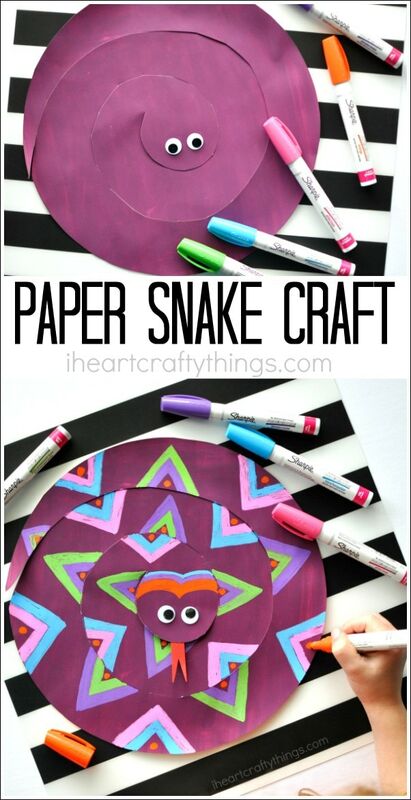 Then draw a snake pattern on the back of your circle and use your scissors to cut along the lines to make your snake. 3. Glue googly eyes and a red tongue onto your snake craft. 4. 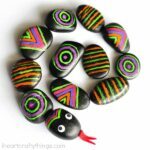 Finish your painted paper snake craft by using Sharpie paint markers or Fun Chalk Markers to draw patterns and designs on your snake.